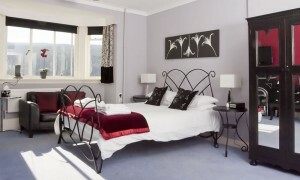 Relax in our luxurious Country House with stunning views of Loch Meikle. Both the restaurant and bar have fabulous views of Loch Meiklie. 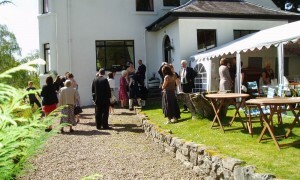 Drinks and meals can be taken in the garden, weather permitting. 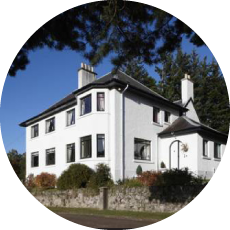 In a quiet place of tranquillity and natural beauty, with views of Lochletter Wood, Carn Macsna and Loch Meiklie, sits Glenurquhart House and Lodges. 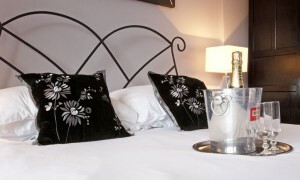 With delightful accommodation, mouth-watering cuisine and attentive service in a relaxing haven far from the hustle and bustle of the modern world. Return from a bracing country walk to warm yourself beside a crackling open fire with a dram of fine malt whisky. 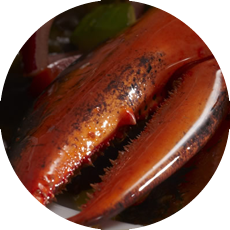 Dine on delicious food prepared from the freshest local ingredients. Retire to your comfortable en suite bedroom or spacious lodge and be lulled to sleep by the sound of silence.